Some of these are winter-only, but I mention them because the spring and autumn seasons are full of temples and other options that are beautifully lit up and open after dark. 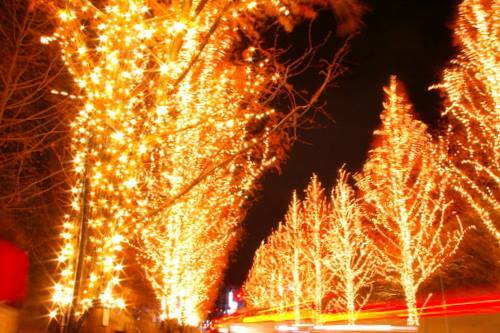 The Christmas season is especially pretty with several areas known for their illuminations. The area in and around the ROHM company grounds is beautifully lit with 600,000 light bulbs, and is one of the largest in scale in Kyoto. Speaking of Christmas illuminations, the Kyoto Botanical Gardens and Kyoto Aquarium are also great places to visit during this time.